'Too Hard To Handle' is a blend of Fact and Fiction which is enhanced by the essence of Philosophy. It tries to find out the answers for certain questions like what happens if you mess with the flow of life? what matters above all in a relationship ? is it past, present or Future? What if you come to know something about your fiance/spouse which you thought never existed? And above all, Can you really trust your best friend? 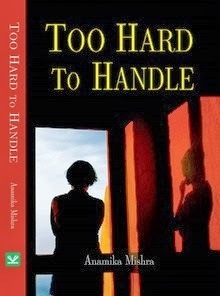 'Too Hard To Handle' is story of Love,Friendship,Victory,Fate and LIFE. Author of 'Too Hard To Handle', Anamika is also a voracious reader, unbound traveller and an amateur photographer. Writing is her first love. 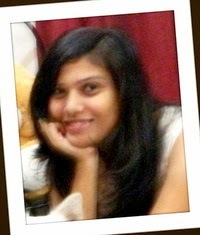 When not writing, she loves to play with her pet, scribble in her Blog , click photographs and travel across the nation. As readers, we are quick to judge the books we read. However, as a writer I know how difficult it is to create something out of nothing. Considering that Too Hard To Handle is the Debut Novel by Anamika Mishra, I started reading it without any kind of expectation from the author. There are some serious grammar mistakes and typos that could have been avoided / should have been taken care of during editing. As mentioned by the author, the revised edition would deal with this. Typos and grammar mistakes left aside, I found the book an interesting read. The story-line is simple, the characters are down-to-earth and well described. I have read Indian authors who have used Hindi words in their books, those somehow seemed out of place to me, however, reading this book, even the use of Hindi words, the casual language seemed essential part of the book. The story flows smoothly and is easier to imagine. It seems, while reading, that we are in fact watching a movie. The story is written in first person, narrated by Anushree Sharma - the female protagonist. I liked the way Vivaan - the male protagonist is described in the book. It is a simple, easy and nice read which can be enjoyed with a cup of hot coffee. Love was when he said soft toys are of no use, better buy a pillow or some gadget .. but in spite of that he bought me a new big teddy. Love was when he used to say try vodka .. have cigarette but then when I told him that one of my PG-mate was smoking last night .. he started shouting at me and warned me to stay away from that girl." - Anamika Mishra, Too Hard To Handle.